Home » Sections » Business » Clean the Place Up! No world class companies of any kind celebrate (or even tolerate) a stinking mess of a shop, office, ship, truck, factory floor, restaurant kitchen, storefront, handcart, toolbox or surgical instrument. 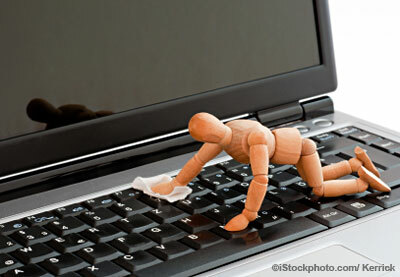 When it comes to business: Clean is good. Dirty is bad. Take a look around your shop. Here’s a handy checklist for getting it done! Put someone in charge. Could be you. You can always hire a professional organizer to help. Check out the National Association of Professional Organizers. Meet with him or her to plan the Clean Up Day. Meet with team members in appropriate groups to get a plan and a lay out for each area of the shop and office. There may be disagreements about what goes where as you may out each space. As the owner or the manager, you make the final call. Pick a day and put it on your Calendar. “Clean Up Day!” Alert all team members. Let them know when you will start, when you’ll stop and that you will be cleaning and organizing the shop and office. Alert employees that if there is anything that they own personally that they want to take home prior to the Clean Up Day, they should do so. It’s an “old clothes” day. You are all going to get messy as you clean so dress appropriately and comfortably. Arrange to rent and pick up a power washer, unless you have one. Have buckets, rubber gloves, eye protection and cleaning supplies on hand. Assign someone to call out for food and drinks to be delivered. Your treat. Put names in a hat and assign clean up spaces (areas of responsibility) for the day. Take everything you can safely move with two people OUT of the space. Put things straight in the dumpster, the recycle bins or in a “Junk” pile. OR, put it in the “Keep” pile. Be VERY selective about what you keep. Even if it is brand new, if you don’t need it, you can throw it out or recycle it. Clean everything in the space…from ceiling to floor…with an appropriate cleaner. When it doubt, use vinegar or water. Don’t be afraid of elbow grease. Going to paint and redo the floors? Do it now. Put the “Keep” stuff back in the space, cleaning every item as you do. Arrange to have the Junk hauled off. Whoever you use, ask if they can help you recycle what’s recyclable, too. When it doubt…throw it out. Yep. Do it. Really. You can always buy another one. Lead the charge! Bring your energy to the party and have some fun! At the end of Clean Up Day, take pictures. This is your new standard. This is how your shop should look every day. Nice!